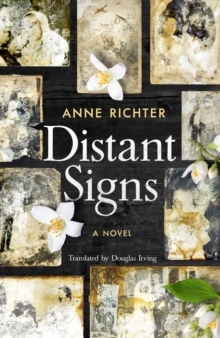 Distant Signs is an intimate portrait of two families spanning three generations amidst turbulent political change, behind and beyond the Berlin Wall. In 1960s East Germany, Margret, a professor's daughter from the city, meets and marries Hans, from a small village in Thuringia. The couple struggle to contend with their different backgrounds, and the emotional scars they bear from childhood in the aftermathof war. As East German history gradually unravels, with collision of the personal and political, their two families' hidden truths are quietly revealed. An exquisitely written novel with strongly etched characters that stay with you long after the book is finished and an authentic portrayal of family life behind the iron curtain based on personal experience of the author who is East German and was 16 years old at the fall of the Berlin Wall. Why do families repeat destructive patterns of behaviour across generations?Should the personal take precedence over the political?Can we rise above our histories and political identities to forge a new understanding of the past and to welcome change?